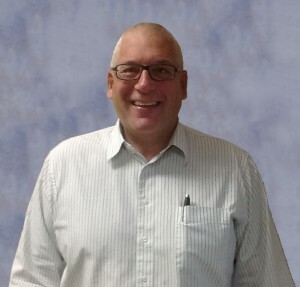 Meet Bill Hoffman, a tax and 403(b) retirement planning advisor for Northwest Retirement Services in Oregon. For almost 35 years, Hoffman has worked with local and state employees. About one third of his 1,800 clients are beginning to take their Required Minimum Distribution (RMD), so he often relies on TRAK’s accurate calculations and reports. Hoffman receives many calls from accountants seeking his advice on RMD. “Tax preparers are calling us to see if they’re calculating the RMD correctly,” says Hoffman. “They usually don’t want to run the RMD calculations themselves, because they have limited knowledge and don’t want to assume the fiduciary responsibility.” He uses TRAK’s RMD calculator to perform the calculations and illustrate the effects of the RMD on the account over time. By providing accurate RMD calculations, Hoffman has solidified his relationship with accountants, and that is resulting in new client referrals. “Using TRAK’s RMD calculator with CPAs and tax preparers allowed me to capture over $12 million in IRA rollovers in 2013,” says Hoffman. Hoffman sees his role as complementary to that of an accountant, particularly for clients who want to take distributions beyond the RMD. “Often my clients want to take a distribution, but before we do that, I recommend we run a calculation that compares the impact of different distribution amounts, say $30,000 versus $50,000,” he explains. “With TRAK, it takes only about five minutes to run the report. It’s definitely not tax advice, but it separates me from the other reps.” TRAK helps Hoffman build and maintain strong partnerships with his 403(b) clients and their accountants. “TRAK is so simple to use and it’s very efficient. This tool has really helped me serve my clients well and they, in turn, refer new clients to me,” says Hoffman.